FULTON, NY – On Jan. 10, the Junior Raiders enjoyed a great half day of learning and fun. Every student received a fact sheet; “Four Basic Steps to Better Communication” and completed two worksheets after viewing the video. Student’s completed scenarios for the “Applying Communication Skills” worksheets and had rewarding discussions. The second half of the morning consisted of the second PBIS Booster of the school year. The PBIS Booster is an event to reward students for the safe, respectful and responsible behavior they have exhibited. 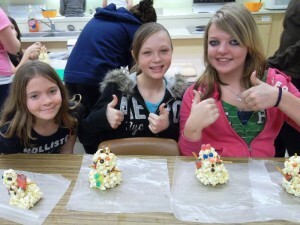 Students enjoyed playing games, guitar lessons, crafts, baking, science projects, nail painting, movies and much more. It truly was a great time for students and staff.